" I have been looking for many months for a dentist trained in biological dentistry. My filters are strict, because as a physician I wanted someone I could trust to refer my patients and my family members. I became Dr. Pfister's patient and I can attest that he is not only a knowledgable and skillful dentist, but a caring and personable individual. I was impressed to the point of offering him to write my first testimonial ever regarding a dentist. " " My husband and I and our 2 children have been going to Dr. Pfister for about 2 years and we could not be happier with the care we have received. What's important to me is that he is on the cutting edge of minimally invasive procedures. I worry about putting my kids asleep and using other drugs, and the long term impact of mercury. 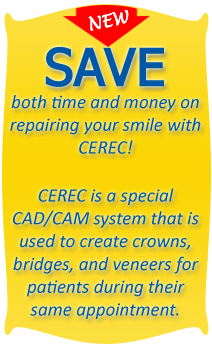 We've had a couple tricky issues and he's had a solution for every cavity, crown, etc. that has worked in our best interest. The computer programs he has used to show us our cases have been amazing to me, no other dentist I have been to has had this technology. Regarding his staff they are professional, cheerful, and knowledgeable, a great asset to the office. And the building itself is unique and beautiful. I would highly recommend Dr. Pfister to any friend or family member "
When your smile is healthy, you feel a greater sense of self-confidence. Today, we have also learned that a healthy smile enables you to enjoy better overall health. Dr. Nathan Pfister has established his practice with the latest technologies to complement his extensive experience in the area of oral systemic health and biological dentistry. The services found in our office will benefit every member of your family. It is our privilege to treat patients of all ages and to provide each of your family members with personal attention for optimal oral health. More than ever before, technology aids in the achievement of excellence in dentistry. Whether diagnosing dental health, planning precise preventive and restorative care, or redesigning a smile to be straighter, brighter, and more attractive, Dr. Pfister incorporates techniques, materials, and technology that facilitate the best possible outcome. 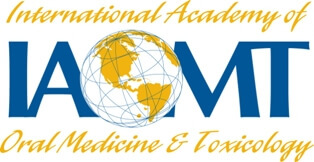 Modern dental technologies that enable patients to more quickly and more comfortably enhance their health and restore their smiles include microscopic evaluation of your dental plaque for spirochetes and other high-risk bugs, CO2 laser periodontal therapy, ozone therapy, micro air-abrasion, safe-mercury removal, digital impressions, smile design and esthetic in mouth trial smile. We also offer dental sedation. Dr. Pfister is an experienced biological dentist who believes in providing each patient with the time and attention they need and deserve. Along with our dentist, we are continuously training our staff to comply with our high standards of care. In addition to education and training, our entire team shares an enthusiastic attitude towards helping patients of all ages reach their highest level of oral health. The pledge we make to our patients is simple but very meaningful: to provide individualized care for each patient and continually elevate ourselves to the highest standard of dentistry. 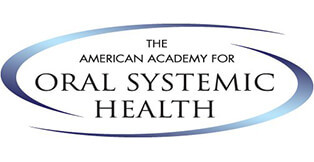 We do not see ourselves as merely providers of smile-improving services, but as facilitators in oral health and wellness. 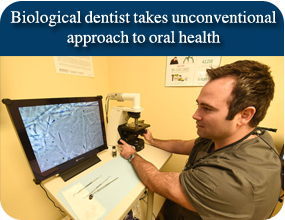 As a biological dentist, Dr. Pfister understands the enormous impact oral health has on the body and on the psyche. Patients who visit our office can rely on a strong commitment to holistic preventative care designed for optimal health. Our team is pleased that you are considering our office. We look forward to meeting you personally and invite you to get to know our office by browsing our site. We offer a no charge/no commitment 10 minute opportunity to meet Dr. Pfister in office. 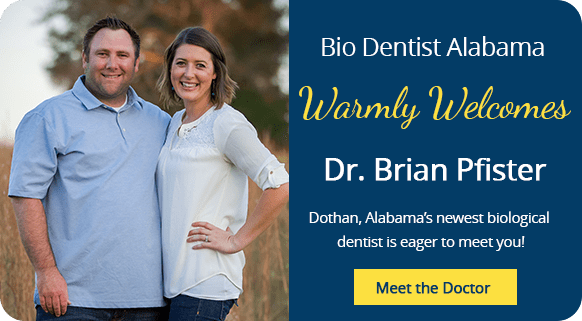 Dr. Pfister serves patients from Dothan and surrounding areas, including Montgomery, AL, and Tallahassee and Panama City, FL. Call our office at (855) 939-5566 to schedule your office tour and consultation or new patient examination.